With the ever-changing digital landscape, paid social is changing at a fast and furious pace. Just a few weeks ago, Snapchat rolled out self-serve access to a broad range of its ad products, and we’ve seen Facebook, Twitter, and Pinterest get more creative with interactive and engaging paid content that better reflects the ways in which people use their platforms. Recently, I explored the trends that will be impacting us now and in the next three to five years, at Innovation Congress from Social Fresh, an event focused on the digital marketing, media, and technology that will be impacting us in the near future. In the last year, most of the questions I’ve received from clients on social advertising have been around the form factors of paid content—the “what” and the “how.” The first three trends I share will focus on current areas. Why is video content so dominant in 2017? We all know how easy it is to misinterpret an email or tweet or article. Text is limited in the way it conveys meaning. Humans have evolved to read faces, tone of voice, and body language; and the rich multimedia of video content allows us to reclaim some of those capabilities. A popular refrain on the Facebook campus is that “the camera is the new keyboard,” according to an article in TechCrunch. With the ease of live streams, photo sharing, and video editing on the fly, it’s no wonder why. Not only is video key for storytelling, but it’s useful in communicating a lot in a short span, which can be key in paid social campaigns, where you may only have three to five seconds to hook someone and keep them on your ad. Native advertising’s aim is to be relatively unobtrusive by providing value-driven content within feeds, sites, and channels where the audience is already engaging. Companies that are spending their ad dollars in this space aren’t necessarily talking about their brands, but rather, they’re showcasing their brand’s relationship with the broader community or larger cultural trends. The benefit of this type of content is that, when executed well, it may be more share-worthy for the audience because it provides standalone value outside of talking about the brand/product. In other words, its aim is to engage with the audience on their turf. In 2017, there are a lot of media brands (Buzzfeed, Refinery29, the New York Times) and influencers who have found the right formulas to create native advertising pieces that both stay true to their audiences and highlight their advertising partners well. But there’s still room to improve. We must consider the following questions: Should these pieces be fully disconnected from the advertisers’ brands so that they’re less “ad-like”? Or does that erode their value for advertisers? From employees to micro-influencers to those with one million followers, the reason that influencers are trusted by their audiences is that these audiences have relationships and trust built up with these individuals. Paid promotion that leverages influencers is best when the content shared is genuine; the influencer has to be true to their style and messaging, and the brand has to deliver upon its promises. My friend Nick Cicero, founder and CEO of Delmondo, shared a great case study at Innovation Congress: His company worked with Marriott Rewards, and a Snapchat influencer to create a video story series that was fun for the audience and showcased each influencer’s personality. Not only did they share the content organically, but they put paid dollars behind the campaign on Snapchat and other networks to get even more out of the content. 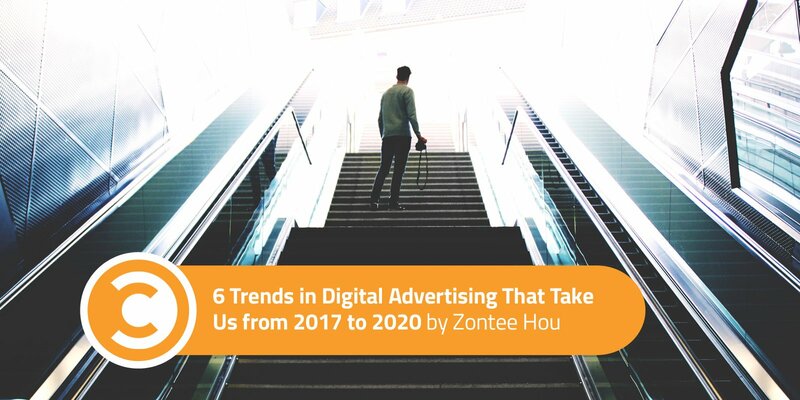 So what’s next for digital advertising? Here are three trends that will drive the next few years of ad-tech and creative. Yes, we’re seeing geo-fenced ads rolling out, including ads that respond to what you’ve browsed recently. But we’re still in the uncanny valley of responsive advertising. By mining big data, advertisers will be able to serve up the right ad based not only on your activities, but your motivations and desires. If you think that the recommendations on Netflix have gotten smart, think about what the possibilities might be for advertising. Sure, we’re having fun with Snapchat Lenses now, but the next wave of AR ads will let you see that dining table in your own home or let you try the latest piece of jewelry without leaving the couch. With the roll-out of the Apple AR kit and Google Lens, we’re seeing the possibilities for apps, but soon, we’re going to see the applications in engaging ads as well. Visual search has arrived, benefiting advertisers on Pinterest, Google, and Bing with data about the visuals people are looking for. But with tools like MetaEyes rolling out, marketers will also be able to see what types of images their fans are posting in their social media feeds. This will allow advertisers to get even more specific and effective in terms of showing the most relevant ads for converting their customers. What unites these trends is that they’re focused on translating data on behavior and interests to create ads that respond to consumers’ actions with more nuance, accuracy, and relevancy than ever before. The better the experience is for the audience, the better the ads will perform for brands. By understanding where we’re going in the next few years, we can better plan our content to reflect the capabilities and interests of our audience.